I support most of the restrictions placed upon the tobacco industry. However, I’m not so sure about plain packaging, which could be counter-productive and risks setting a dangerous precedent. It’s an emotionally charged subject, involving preventable disease, suffering and death, but we shouldn’t indulge political correctness at the expense of common sense. 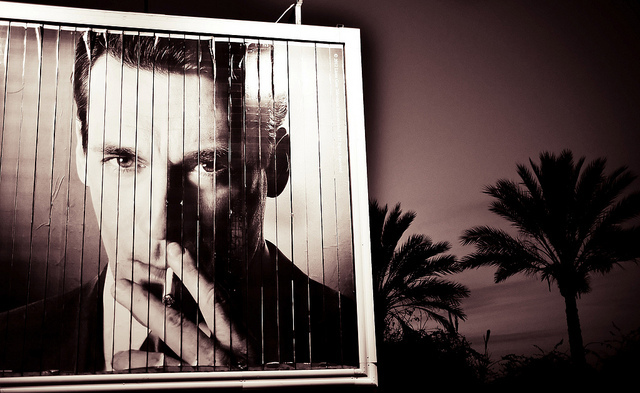 Cigarette marketing is also a risky topic to address for an ad man. The vested interest argument is never far away. So let me be clear – I don’t smoke, have no tobacco clients and would be happy if everybody stopped smoking right now but this doesn’t mean that I’ll blindly support any anti-smoking measure. The last time I wrote about this topic I took some flak. Fair enough, I accept that this is just my opinion. However, much of it came from fellow ad types who proudly shun tobacco but are quite happy to work with food brands whose liberal attitude to concealing equally harmful sugar and fat content doesn’t bother them at all. Perspective, combined with moderation and common sense, is more productive than moralistic hostility. It also has the added benefit of making you look less of a pompous, self-righteous arse. We live in a liberal society in which smoking is a legal activity. Unless this changes the argument is about the freedom of choice and ensuring everybody is fully aware of the consequences. There are now enough marketing regulations and health warnings in place to make the message crystal clear. Smoking is VERY BAD for you. It causes cancer, emphysema, hypertension, heart disease, chronic obstructive pulmonary disease and lots of other nasty conditions that can KILL you. It can HARM YOUR KIDS and others around you. It’s an EXPENSIVE dirty habit that drains your pocket and valuable NHS resources. You really shouldn’t do it. Got it? And yet, millions of people in this country know all of this and continue to smoke. Tobacco is not a dangerous toy or a weapon that can just be banned. It’s a vice and part of a lifestyle choice that bestows a sense of status and self-identity. It just happens to be addictive and harmful. Combine this with its long social history and prevalence, it can’t simply be legislated into obscurity. They tried that once with alcohol, and they’re doing it now with class A drugs and prostitution. How’s that going? This is not like banning handguns. Smoking is a social and addictive habit imbued with a gamut of emotional, behavioural and status driven factors that are less likely to respond to traditional restrictive or legislative measures. For millions it is a statement of identity, freedom, a cool or rebellious thing to do and a rite of passage that may or may not develop into a serious habit. It isn’t like wearing seat belts or using mobile phones whilst driving, neither of which convey issues of status or involve addiction. Smoking involves a highly complicated mix of factors that renders the morality of the habit largely irrelevant and makes a sensible and moderate approach more important than ever. One of the fastest growing tobacco problems in the UK is counterfeit cigarettes, an illicit and unregulated trade that poses an even greater health threat than legal tobacco. A report estimated that, in 2012, 8 billion counterfeit cigarettes were bought in the UK, representing around 16% of the total market. It is a growing trend despite, or more likely because of, anti-tobacco legislation. It is entirely possible that plain packaging could make this worse. Cigarette manufacturers spend millions on distinctive designs to differentiate their products from competitors. Plain packaging will lower the barriers to entry for counterfeiters who won’t even have to try to make their packs look half decent anymore. Smoking is not going to just disappear, so let’s keep it where we can see it rather than drive it dangerously underground. If that means allowing distinctive packaging then so be it. There is also still no conclusive evidence that plain packaging works. In Australia, the only country that has introduced it so far (and therefore the only market that can provide facts), the first year’s figures do show a slight decrease in the number of packs bought. However, the gross figure of cigarettes sold has actually gone up and only becomes negative when allowances are made for population growth. In addition, smoking decreased more rapidly in each of the four years before plain packaging was introduced. It is in decline on its own. Perhaps the time and money spent on debating and legislating a measure that is inconclusive could be utilised more productively on something that we know works, like education. There’s no doubt that the tobacco industry has a lot to be ashamed of. Some of its behaviour during the 20th century was appalling, but it is no longer able to hide the truth about the effects of its toxic products. There aren’t any more misleading ads. Granted some are again dangerously close to the line with their dubious marketing of e-cigarettes and groups such as the Alliance of Australian Retailers are often just pro-smoking patsies, but there isn’t a global conspiracy to hide the health impact anymore. If you decide to smoke, you do so in full knowledge of the implications and are conspiring with an early death on a voluntary basis. You have no right to complain when the grim reaper comes calling earlier than planned because you invited him. We should all be concerned about the long term implications of any government deciding what’s good or bad for us and legislating as it sees fit. It would set a disturbing precedent. It might only be tobacco now but what’s next? Plain packaging on foods the government doesn’t think we should eat? No distinctive designs for cars it doesn’t feel we should drive? No logos on clothes it doesn’t want us to wear? In fact, no differentiation for anything it doesn’t like? Whilst the the product remains legal and the health implications are presented clearly, the choice should be ours to make. As for the financial implications on the NHS, which has to pick up the cost of treating those who exercise their freedom to smoke, perhaps it’s time for those who stubbornly refuse to quit to find themselves at the back of the queue for treatment or forced to contribute to the cost of their care. I support the NHS as a supplier of free healthcare, but it needs to come with a corresponding duty to look after ourselves. Of course there are exceptions, like those with mental health issues who need more help, but very few people have a genuine excuse not to understand the consequences. There are lessons here for the anti-tobacco lobby, whose vehement and often blind devotion to wiping out smoking fails to address the fundamental reasons for taking up the habit in the first place. They have allowed anger and hatred for the manufacturers to cloud their judgement. 6. What about everything else that’s bad for us? There are plenty of things that are bad for us but very few are subjected to the same hostility as tobacco. Cigarettes are already highly taxed, advertising is severely restricted, and smoking is forbidden in public places. I support all of these but further regulations that have no conclusive supporting evidence have more than a whiff of political correctness. Why doesn’t the government apply the same zeal to the alcohol, automotive, banking, food, utility and petrochemical industries, all of have elements that cause considerable harm? Tobacco is an easy target and a vote winner. Tax revenue from tobacco provided the government with £12.3bn worth of excise and VAT revenue last year (2012/13). You can argue all you want about how this could be offset against the reduction in costs incurred by the NHS in treating fewer smoking related conditions, but it is going to take a very brave government to cut this valuable source of revenue. It is not an argument I am fond of but campaigners have to acknowledge the very real dilemma it presents – the government will be forced tax us somewhere else to fill the hole. The area I find most problematic is passive smoking, particularly by children. I grew up in a house blighted by a parent’s serious habit and was born with health issues that may have been caused by heavy smoking during pregnancy. However, the 1970s was a different world and we can’t turn the clock back. Today, when it has been made perfectly clear that passive smoking is dangerous, we must accept that some things are simply out of our control and rely on individual accountability to do the right thing for our children and others who have no choice. We can’t control everything – it’s why education is so important. Life is precious. I do not say this lightly, having held my 4 year old son in my arms as he passed away. We should do our best to protect it, but we can only do so much. I am a long way from joining the do-good brigade who think that we need regulations for all voluntary activity that carries a risk to our health. I respect the right of my friends to light up a cigarette, as long as they do so without harming me or my children. I occasionally enjoy the odd cigar myself, usually after ingesting amounts of alcohol that other groups also want to ban. I consider myself a responsible adult with my own vices and in full knowledge of the potential consequences. I don’t appreciate anybody telling me that I can’t enjoy myself. For me, this is not an argument about the morals of smoking. It’s too ingrained to simplify it like this. All it does it reduce our obligation to tackle the problem in the most productive manner. If we persist down this reductive and hostile path towards prohibition that so many are determined to follow, we run the risk of missing more intelligent and longer lasting ways of reducing the prevalence of smoking. Politically correct zealots will celebrate another victory for a risk-free and joyless future whilst contributing to the removal of yet another building block of their own civil liberties and freedom of choice. Today it’s cigarettes, tomorrow it will be Frosties and Coca Cola. And then what? By the time they wake up and realise this, there might not be much left of life to enjoy. Life is for living and with that comes taking some risks, voluntarily or otherwise. We are all perfectly entitled to our wrong opinions, and perfectly entitled to make our own lifestyle choices without interference from government-backed Health-Nazis. These people rely on innuendo and what they deem to be “common-sense” on these matters. Some people do accept that, for example, the risks of second-hand smoke amount to a danger. This was never proved satisfactorily before the legislation was introduced to control it. It was presented in a very cursory way to legislators who do not understand the value or significance of statistics close to 100% risk. After legislation was introduced, the Health lobby moved on to the next round of tobacco-bashing, armed with “look what we have done” propaganda. It would be advisable to review all evidence on its own before making any further steps . The evidence that smoking is risky in the long term is incontrovertible. This was established in the 1950’s, but it was only stated, never proved, that tobacco *caused* all the cases of diseases attributed to it. Such proof would require immoral experiments. There are many viruses that can cause those fatal diseases. There are no viruses in tobacco, only factors that reduce the body’s ability to combat viruses. The possibility that it is these factors that should be controlled was never investigated as far as I know. The evidence that second-hand smoke is risky was established first on the basis of an opinion survey (or four), but not of medical professionals, but of staff in the hotel and pub industry. The evidence of individual surveys was never strong enough to show significance, so they were combined to show a 17% increase in risk. Other studies showed a 5% decrease in risk. Any percentage variation around zero cannot be distinguished from zero. It is staggering that Health Authorities, who only issue alerts about risks over 50% were persuaded to issue an alert on the basis of this tiny relative risk. The evidence that secondhand smoke harms children who have no other influences on them is also exaggerated. There is no evidence it causes cot-deaths and the worst they could come up with is increased inner-ear infections. How does that work? When it comes to covering-up the tobacco message, I agree that education would be the better option, but the anti-tobacco lobby should not be allowed to dominate that or we would see offensive images being presented to schoolchildren, like Black Lung being presented as Cancer. It is well-known that a smoker’s lung looks no different from a non-smoker’s under normal conditions. Presenting images of tumours saying these were caused by smoking is no longer an honest way of doing things. Just because someone has a tumour and smoked does not prove that smoking caused the tumour. It may be the result of working with nuclear materials! While I agree with your opinion on education, I do not agree that smokers are stupid, or abnormal in any way. I certainly would not accept your proposal to limit the availability of NHS treatment to smokers, as this would, as you might say, establish a dangerous precedent for limiting treatment of all self-inflicted conditions, such as obesity. The Health lobby, of course, would love to get their empires expanded to that one. There’s money to be made! Finally, these opinions are mine, culled from a long life in which I did smoke, but not any longer, and I have no sympathy with or financial incentives from the tobacco industry. All valid comments and appreciated. I have taken on board what you said about stupidity and agree it’s unfair, so I have removed them. Otherwise, apart from the availability of NHS treatment, I think we’re in agreement elsewhere. I have also added an additional point (#8) about how the battleground will just shift elsewhere. Thanks.